Manages to pull at the heartstrings, despite the fact that it’s a Will Smith movie. Let’s face it, Will Smith’s likeability factor has plummeted since his early days in The Fresh Prince of Bel Air. It’s not for lack of acting skills – he just lacks the charm and charisma he once had. His role in Collateral Beauty is no exception, but in spite of this it still holds up as a decent film overall. Howard (Will Smith) is a key partner in a successful New York advertising agency until his world falls apart after the death of his only child. As he decends into deep depression, the firm is in danger of collapsing unless his business partner Whit (Edward Norton) and colleagues at the agency Claire (Kate Winslet) and Simon (Michael Peña) can figure out to find a way to get through to him. Edward Norton is one of my favourite actors, but I was most impressed with Dame Helen Mirren’s performance – her understated acting really carries things along and helps you to really get into the film. You may be left scratching your head a bit at the end as it is left to the viewer’s imagination to determine exactly what has transpired. I’m not sure if this was tactical or just lazy script writing, but it didn’t seem to piece together as elegantly as it could have done. Nonetheless, there is a nice message in it – and if you’re willing to go with it you may end up teary-eyed as I did! There’s even a cosy Christmas vibe thrown in, which is most welcome but unfortunately loses some relevance for Swedish audiences seeing as it won’t be released here till next year. 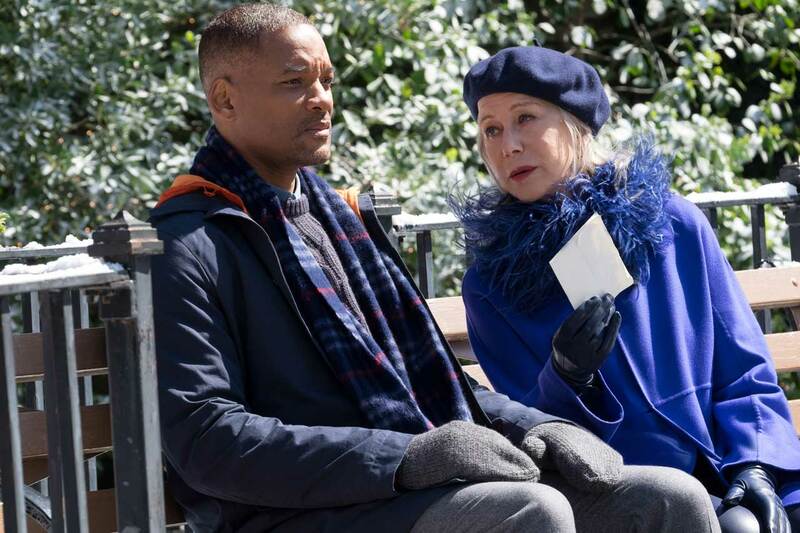 Collateral Beauty premieres in Sweden on 4 January.